CT2265 - Double Wall Insulated. 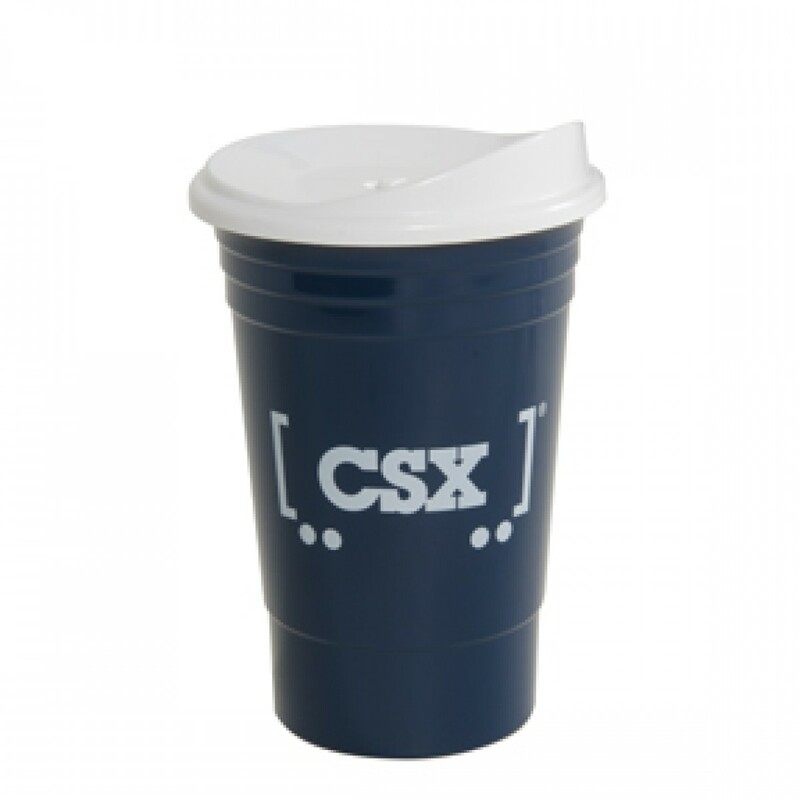 Made from Tri-Edge polypropylene material so it is sturdy and reusable. BPA free. 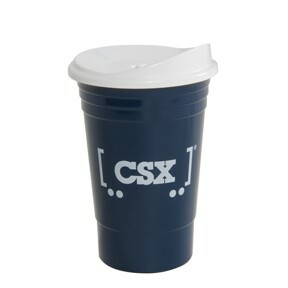 Navy with white CSX railcar logo. Lid included.